1. 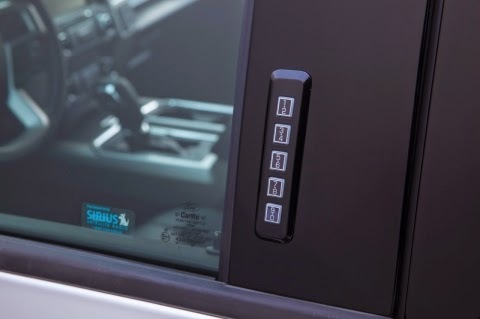 Hard buttons on the driver-side door keypad allow for customers to input by feel, instead of having to tilt their head back to see the numbers. 2. Beltlines on the front doors make for additional armrests. 3. Sculpted finger relief on the inside door handle allows for an easier hold. 4. All lighting, radio and climate controls are grouped together on the instrument panel. 5. The indents on the back side of the steering wheel help with maneuverability when backing up a trailer or off-roading. 6. Since Ford customers use their trucks for a different purpose, the MyView productivity screen can be customized so that the driver's top seven favorite gauges are in the main cluster on the F-150's 8-inch screen. 7. 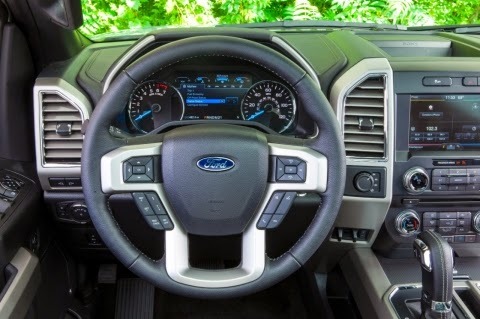 A customer's truck is their tool, so Ford chose not to include any radio or entertainment features on the instrument panel, aside from incoming calls and turn-by-turn directions. Entertainment information can be viewed exclusively in the center of the dashboard. 8. Rather than closing off the bottom portion of the steering wheel, Ford's four-spoke steering wheel allows for a comfortable grip on the lower portion of the wheel. 9. Grooves in the tailgate handle allow customers to open and close the tailgate with one hand. 10. 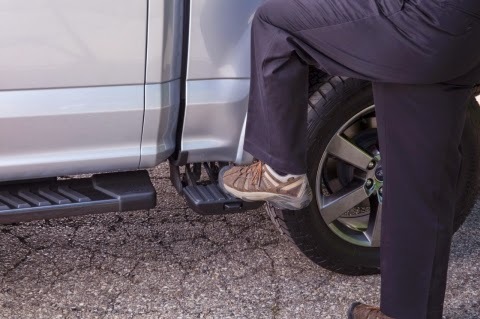 Ford created the large box step with enough surface area for a full-size work boot to both stand on the step and to push it under the bed when it is not in use. The ten features the 2015 F-150 team thought of so we didn't have to are just a few of the incredible enhancements on the all-new F-150. We can only expect great things from the stronger, more advanced and lighter 2015 F-150. The NEW Fusion Fest at Brighton Ford!